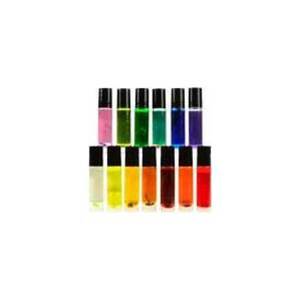 A roll on perfume by Mistic Products in a convenient roll-on vial. Each perfume oil includes a blend of essential oils, pheromones and a magical talisman bathed in the perfume. All of this has been blended to lend the perfect balance of power and scent to your undertakings. This vial contains 1/3 oz of red colored Love Honey for Him perfume.